Ever wondered what all the buzz about Service Design is about? Do you want to learn more about what it takes to be truly user-centric? Are you lacking methods and tools to elicit users‘ needs and design successful services? Then look no further! 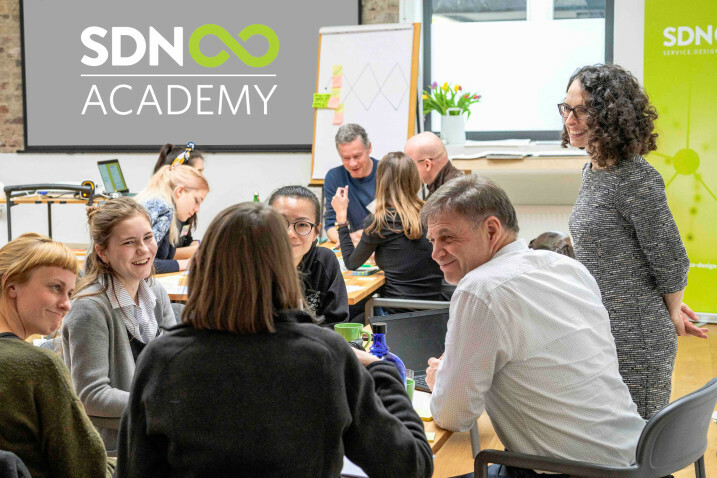 This two-day workshop will introduce you to the world of Service Design, cover the fundamentals of the Service Design process, and provide you with essential methods and tools to support work in this practice. Service Design is a field of practice that merges many different disciplines of design services that are useful and desirable from a user’s perspective, while at the same time feasible and effective from the provider’s perspective. It transforms creativity into true innovation by shaping ideas to become practical and attractive value propositions. In a world marked by competitiveness and volatile customer demands, great service design is the stepping-stone for success. Or as phrased by IDEO, “Great service isn’t by chance, it’s by design”! This two-day workshop will provide an intensive and compact experience on designing a service based on a case that will take you through capturing insights and ideas to producing low-fidelity prototypes that can be used to communicate the features of your service. It is structured using the four stages of the Design Council’s Double Diamond: Discover, Define, Develop, and Deliver – which covers the exploratory, ideation, prototyping, and testing phases when designing a service. This workshop is part of the SDN Academy and participants receive a SDN branded Certificate after completion. This certificate will be valid within the SDN Trainer Accreditation process. – Be capable of applying service design methods and tools in practice, such as field research, personas, user journeys, and prototyping. Trainer Cristine Lanzoni is a service design practitioner and Project Manager at Service Design Network (SDN). She has experience designing and implementing services, from concept to spread sheets and the nitty-gritty details of interaction and visual design. At her work, she currently manages different user journeys and leads improvements to their touchpoints in order to deliver better experiences to the end-users while streamlining internal processes. Cristine holds a MA in Design Management and has previously worked as a Visual Designer and Lecturer on the topics of Creativity and Marketing in Brazil.